well, it's nearly finished , few more days and she will be done. I honestly recon this will be better than new when completed. Stunning looking bike, hope the roads by you arnt like ours, they started gritting last night!! Yes same over here , roads are covered in Salt however I won't be driving it until next summer. She is a bright one all rite lol, really hits me every time i look at it. 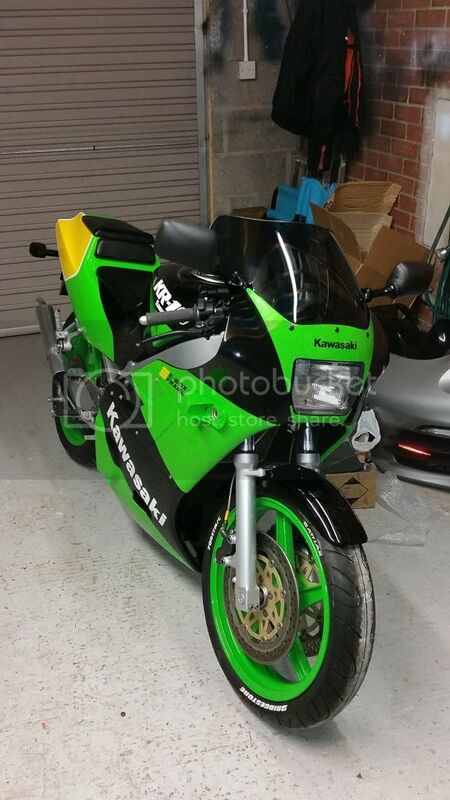 It's a Kawasaki green but not the original KR1s colour and every thing is painted , no decals. One of the finest paint jobs I've ever had done. Very Nice bike, its looks like new! Looks great , nice job. 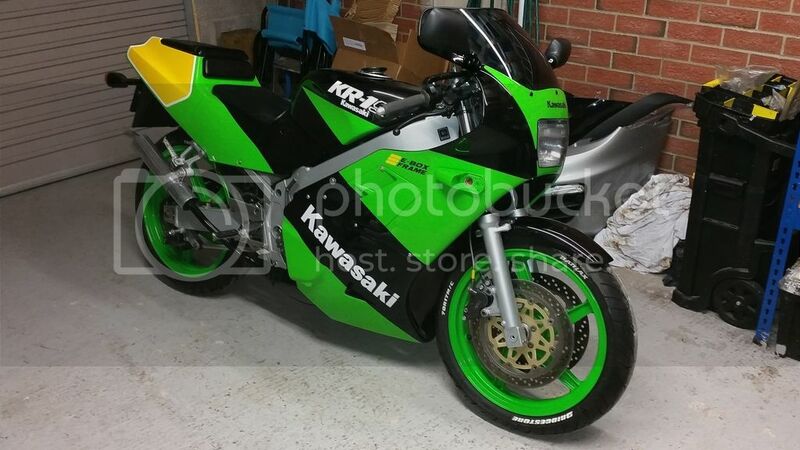 Looks brilliant and I can't wait to get some jobs done on mine and get it looking as nice as that does.